With our "Excellent" 5 star, 97% customer satisfaction Trustpilot rating Golf de la Luz truly is a customer- and experience-led golf travel company and our many valued customers are never wrong in their choice of golf holidays! 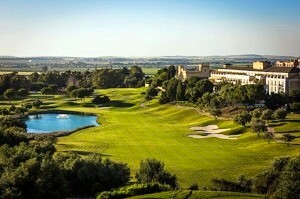 Offering free daily golf at the on-site Jack Nicklaus "Signature" Montecastillo GC, the Barcelo Montecastillo Resort is one of consistently best selling resorts for good reason! With prices from only £55pppn including B&B and golf, where else can you enjoy a true 5 star holiday with golf included at such a low price? 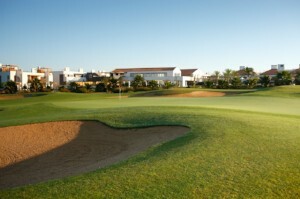 Stay and Play Golf Resorts come no better than El Rompido with its 2 on-site 18 hole courses in wonderful seaside locations and the excellent 5 star hotel and 4 star aparthotel for your comfort and relaxation. 7 night stays with 5 rounds included are available from only £412pp on Dinner B&B basis - UNBEATABLE VALUE! 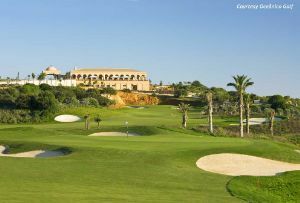 Free Golf over the 3 on-site championship La Cala GC courses is included with all bookings of 3 or more nights at the well-known 5 star La Cala Resort. Plus - free buggies are included with most golf bookings (except peak hours in high season). 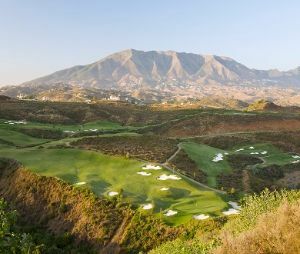 Situated just inland from Malaga Airport access is easy to La Cala, but up in the hills you are a world away from the crowds of the Costa del Sol! These 2 recently refurbished Tivoli Hotels both offer great locations to serve as your base for a superb golf holiday in the Western Algarve. Enjoy free evening dinners at the 5 star Tivoli Carvoeiro alongside the top value golf packages available here. 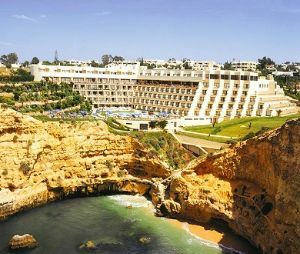 The 4 star Tivoli Lagos has a great town-centre location and we can offer bespoke Stay & Play deals including a range of the very best Algarve golf courses just for you! The Golf de la Luz Team and many of our clients view Amendoeira as the Algarve's best golf resort - simply visit to see why! With both on-site championship golf courses - Faldo & O'Connor Jnr - offering free unlimited golf inc. buggies as part of the great value Stay & Play deals in the apartments or luxury villas, plus the floodlit Academy Course it's easy to see the reasons why this is the best resort in the area! A firm favourite of many travelling golfers, the Robinson Club Quinta da Ria also features 2 on-site championship golf courses and great value All Inclusive Stay and Play packages. We have the best prices available for this splendid seaside golf resort, so just drop us a line or give us a call to discover more!